Planning ahead your kids wardrobe for the week cuts down on time and negotiations. Appaman has all of your fall looks from sweats and jeans, to graphic tees and puffer vests. The cooler weather is right around the corner. Which means flexible layers and comfy outfits. We’ve made it super easy. 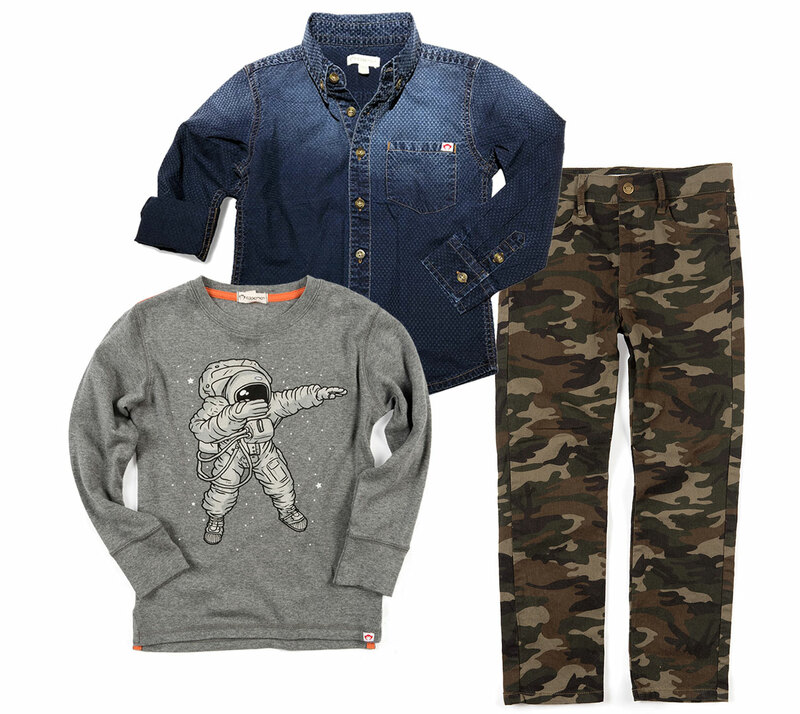 Here are six awesome pieces, five awesome outfits, one cool kid. These key pieces can be mixed and matched, creating new looks for Monday through Friday. Monday: Start the week with something chill. 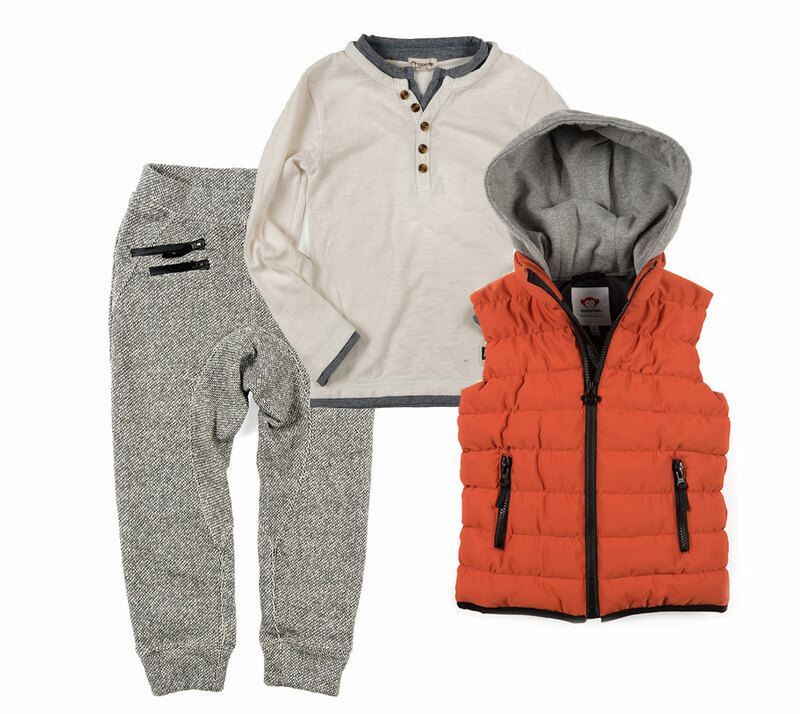 This easy, breezy combo is recess-ready while still looking sharp. 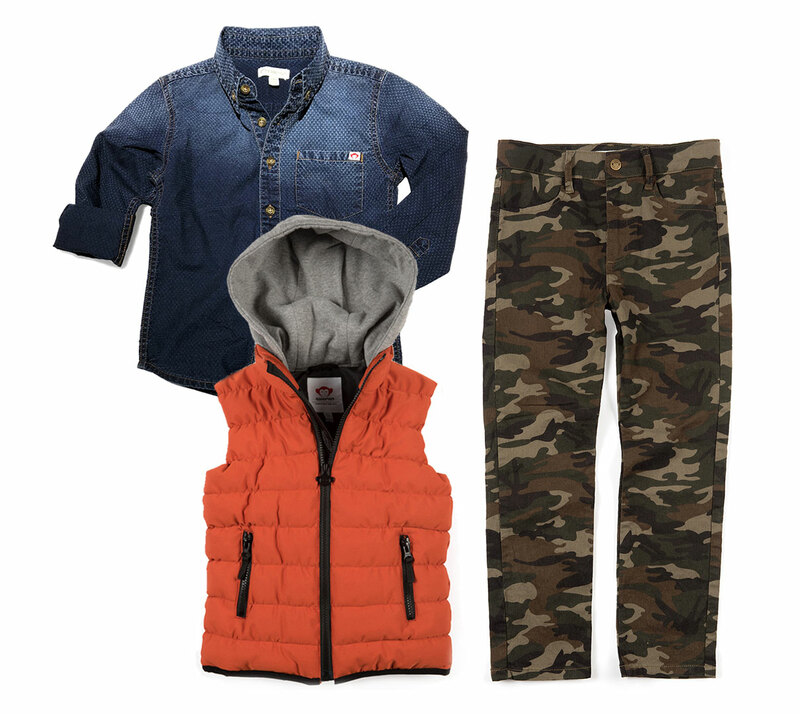 Tuesday: Layers sans fuss – look cool but stay warm out on the playground. And when it’s learning time he can roll up his sleeves and lose the vest! Wednesday: You can’t go wrong with a cool graphic tee and camo! layer with the Remy Shirt for extra personality. Thursday: There’s no need to save casual for Fridays. This look is laid-back simplicity at its best. Friday: Be ready for that 3pm bell and whatever the weekend may bring. Just throw on his favorite sneaker and you’re golden!